In this category we have all the tutorials about the yahoo email, learn how to use the yahoo email, all the tutorials are with text images and videos. If you want to be able to access some of the best features Yahoo has to offer, you’ll have to first register on Yahoo and open a Yahoo account. You can do a few things on Yahoo without signing up, like read the news, check the weather and monitor stock prices, but everything gets better and more personalized when you have your own Yahoo account. 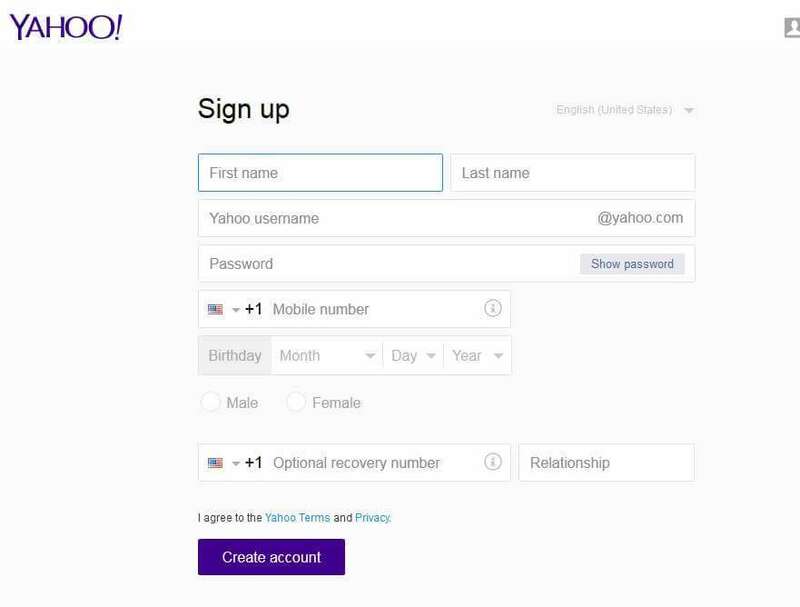 Creating a new Yahoo account is a quick and easy process. In this post, we’ll show you exactly how to do it, step by step. There is no link on the homepage that will take you directly to a new account registration, but you can get there by clicking on the “Sign in” button in the upper right hand corner. 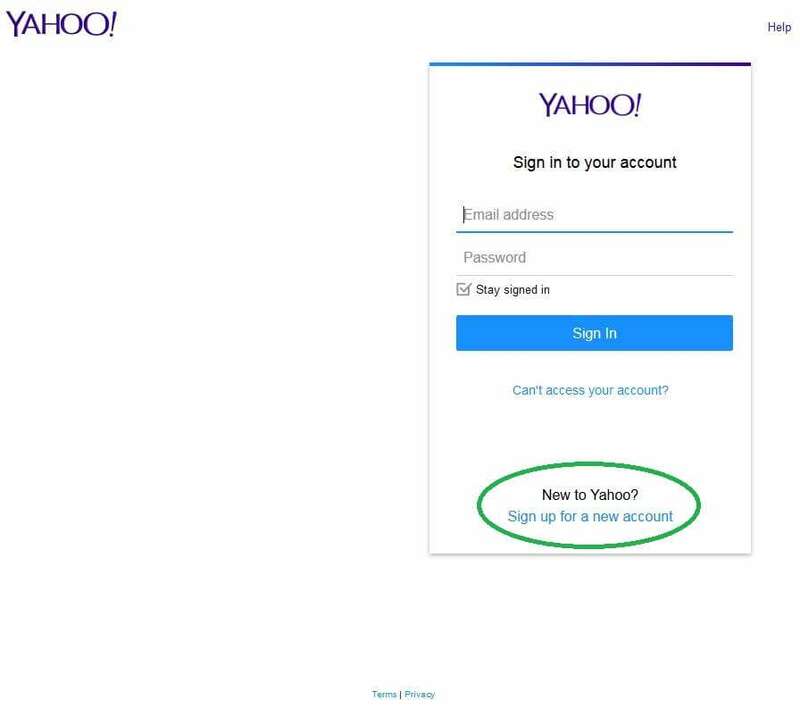 This will direct you to the login page for people who already have Yahoo accounts. To create a new account, just click the link at the bottom that says “create new account”. 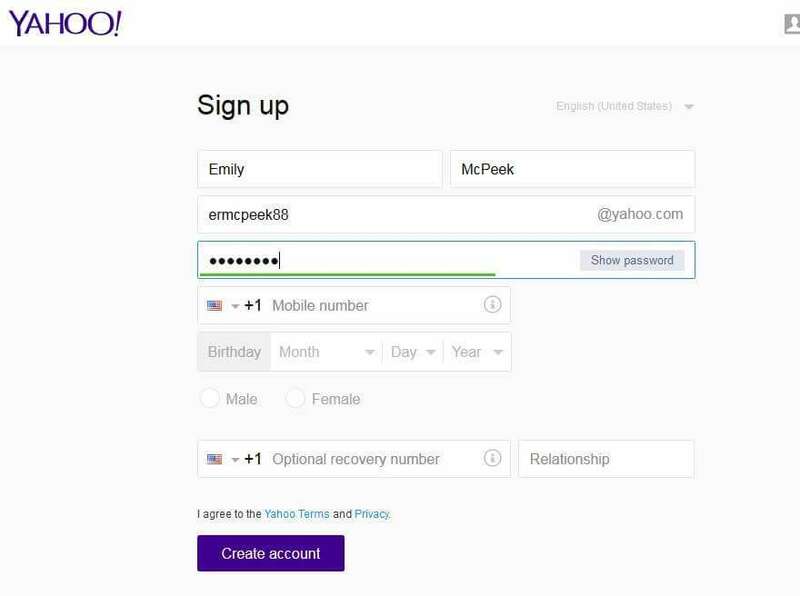 Now you will be taken to the Yahoo sign up form, where you will enter your personal information, choose a username/email address and a password for your account. 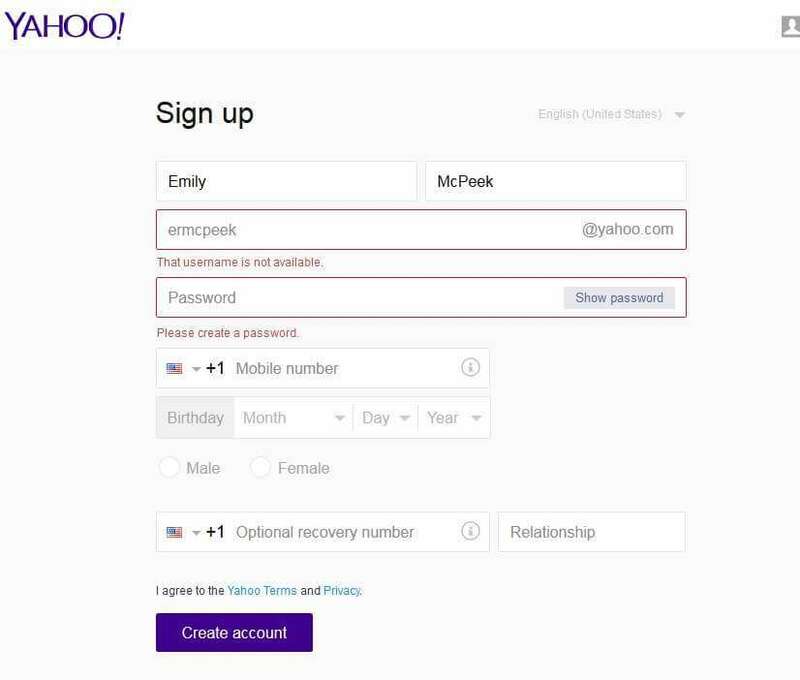 Yahoo will give you some suggestions for your username, but you don’t have to use them as long as you pick a name that isn’t already being used. As you can see, my first choice here wasn’t available. If the name you want is already taken, the easiest way to make it unique is by adding some numbers on the end. 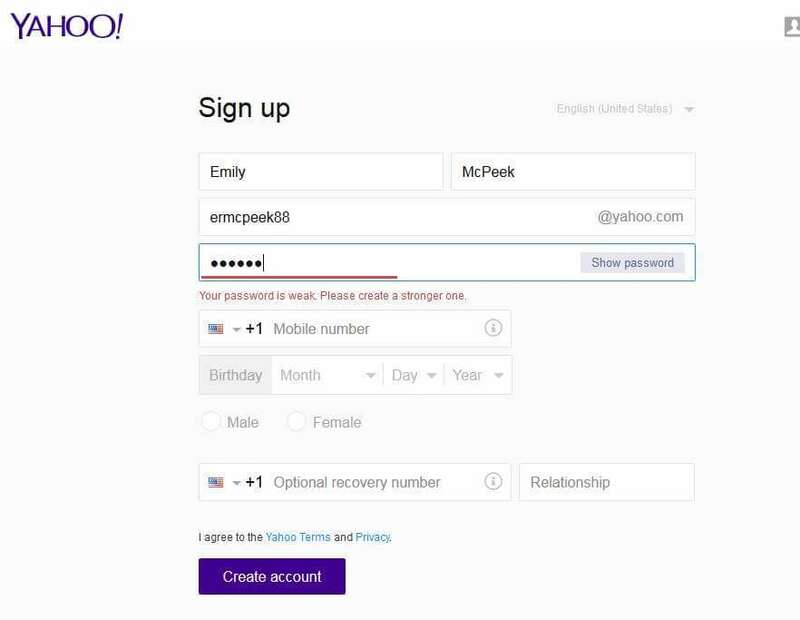 The next step is to choose a password to log into your Yahoo account. It should be a strong password that you can remember but other people won’t be able to guess. My first password choice was an all lowercase dictionary word, which is a very weak password and not allowed by Yahoo because your account would be very vulnerable to hackers. To make a stronger password, I chose one with more characters, including numbers, special characters and uppercase letters. All that’s left is to enter your cell phone number, date of birth and choose your gender. Your phone number is important because it may be used to verify your account and will help you retrieve your password in case you forget it. So make sure you choose your country code and enter your phone number correctly! You can also enter a second recovery number if you want, but this is not required. Finally, click on the “Create account” button. You’ll be asked to enter a captcha code to prove you’re not a robot, and you may also receive an SMS text message with a verification code from Yahoo. Enter these codes when prompted, and continue. Tadaa! 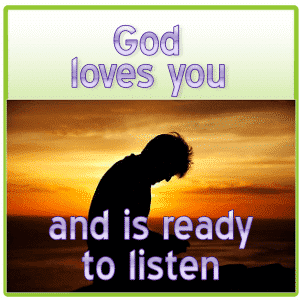 Your new Yahoo account has been created and you are being redirected to your new homepage. 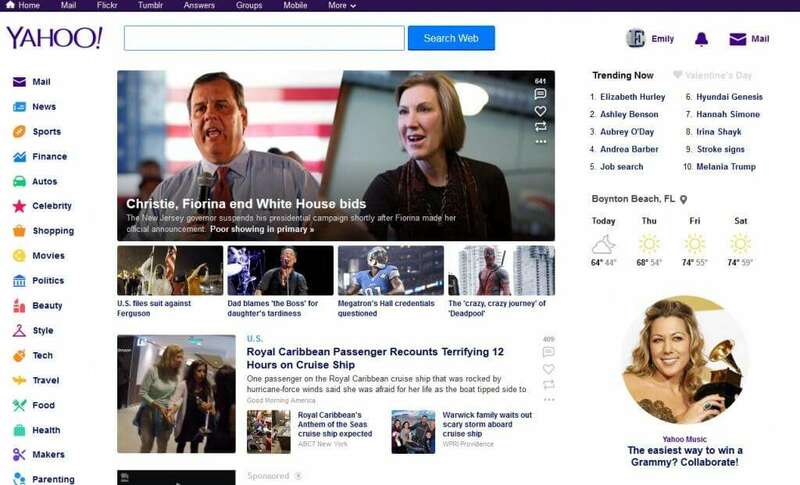 You’ll see that you have been automatically logged in and your Yahoo homepage is now personalized for you. 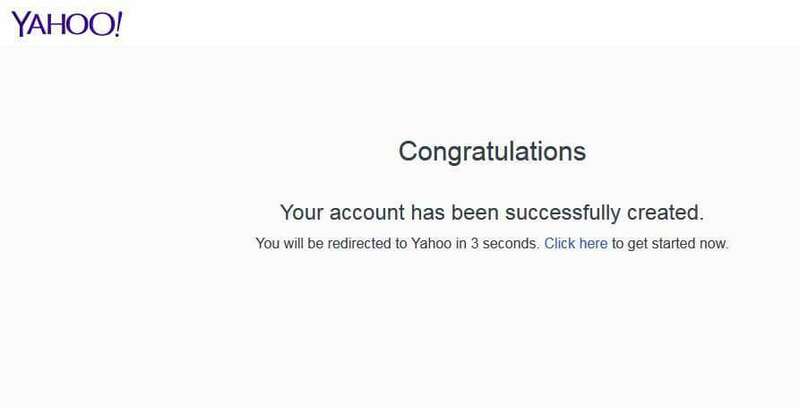 From now on, whenever you login to your Yahoo account, this is the first place you will go. From here, you can access tons of features, including your Yahoo email account. Feel free to explore and see all the great features and tools you have access to now that you’ve opened your brand new Yahoo account.